Color guides have become a collectible in their own right that stand a step or two removed from original art but are an important part of production process and an interesting window into the way comics were made in the days before digital. 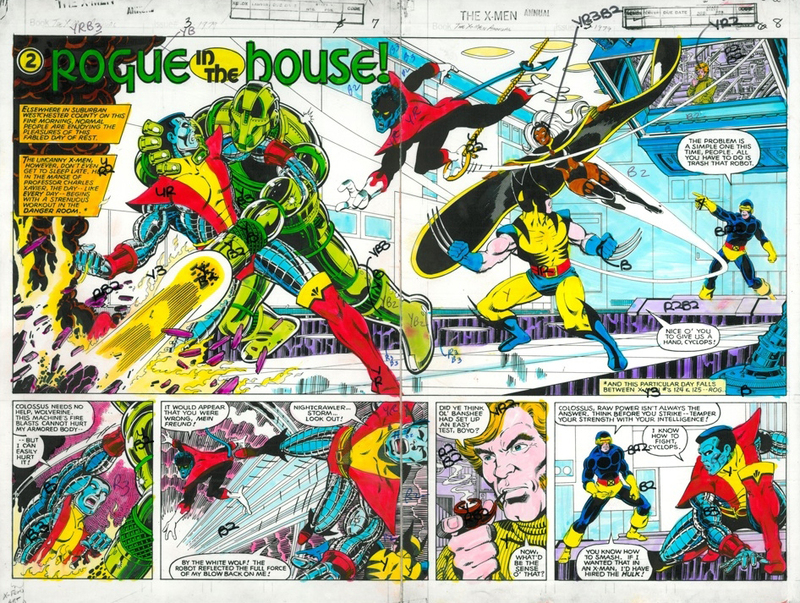 I saw color guides to pages 7-8 from Uncanny X-Men Annual #3 (February 1980) on eBay in 2011 and found myself wishing that I bid for it since it's such a great double-page spread by George Perez and Terry Austin. Click the scan below to view a high-resolution copy of the color guide.